Microsoft’s understanding of open source consistently mirrors its own ambitions — ones that define it to be hybrid and vendor-dependent. Here is the latest example. Microsoft will, though, continue to accept source-code contributions to its slowly emerging implementation of Ruby for .NET, IronRuby. Contributions are helping to build IronRuby and shepherd the language towards the first-full release. The reason Microsoft decided to leave the DLR closed, despite taking contributions to the languages that will run inside it, is to protect itself from unwanted licenses and IP claims. If you look more closely you’ll find that what Microsoft wants is free labour — moreover labour that results in developers and end-user getting dependent on proprietary and pricey programs. Sadly enough, Nokia too seems far from committed. It is adamant about enforcing software patents, DRM and other consumer-hostile mechanisms. Bruce Pernes has just responded to that latest lecture from Ari Jaaksi. …perhaps the community has some education for Jaaksi and Nokia. Jaaksi hosted me at a Nokia dinner in 2000, he’s a nice guy and has been interested in Linux for a long time. But Nokia’s barking up the wrong tree this time, because Nokia can do everything it wants with DRM, IPR, and SIM locks without bothering the Linux developers about it – and both Nokia and the Linux developers will like it better that way. It’s surprising that Nokia doesn’t understand that at this late date. Open source IS free software but Tienman, Raymond and company thought up of the new name in 1998. Free as in libre scares some people. Just because you just fell off the turnip truck Bob doesnt mean we all did. The freedom you refer too is the Four Freedoms of the GPL, not of this thing you call ‘open source’ which has become a bastardized word that even Microsoft uses. If you use GPLed code, you have to respect the four freedoms. 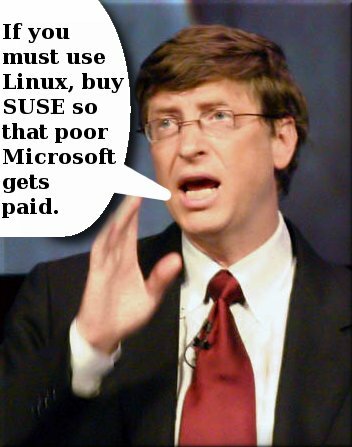 If you dont, you can use BSD or Microsoft licenses. Same thing with MS and Nokia, they can participate and use the fruits of the community work but MUST abide by all the tenets (read the MS ‘open source’ license to see the subtle differences which make it incompatible with the GPL) of the license. Roy is right, Microsoft wants free labour and to get to control the code. They get to pick and choose and call it open source. i think most organizations are fool and insecure because they are not using open source. some time open source software vendor not provide any support for the failure. not every things comes free dear some one in paying for it. do you thing end customer has any thing to do with source code? You are aware that open source isn’t about freedom, but about making useful programs? Under almost all circumstances, most expenses are not acquisition-related, but maintenance- or customisation-related instead. The whole idea of Free software is based on the assumption that better business and better software can be made this way.